For the last few years I have been snacking on one of the cheapest and tastiest treats. Thanks to my wife Stacy for finding and introducing it to me. 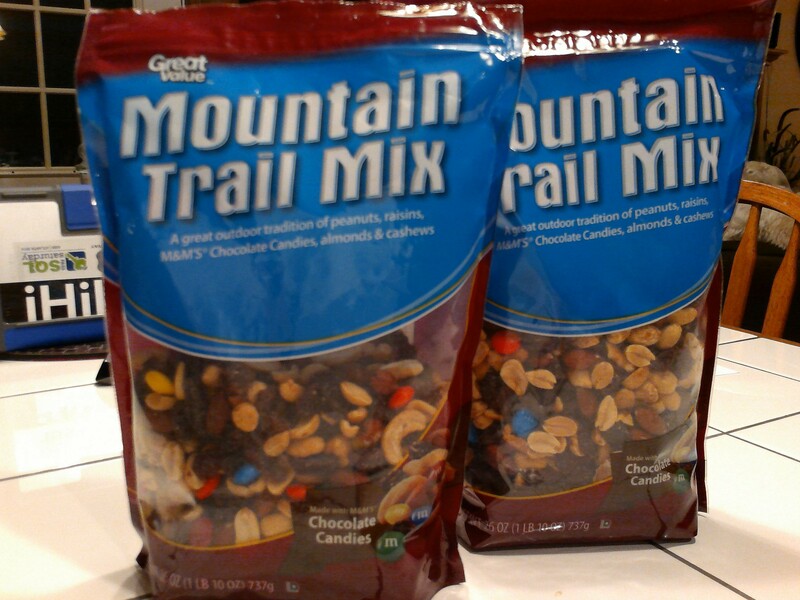 Walmart has the best trail mix for any dbahiker that needs a power snack. It has real M&Ms chocolates, peanuts, raisins, almonds, and cashews. Thanks Walmart. Great for any kind of hike or just sitting at my desk writing code or administrating servers or users.